Black hat SEO refers to unethical practices to help a website rank higher in Google. Often times, a website doesn’t even know it’s suffering from black hat search engine optimization — and being penalized for it. Though black hat can temporarily help a website rank higher in Google, search engines will ultimately demote it for bad practice. You need to know how to identify black hat SEO techniques. Here are five signs to look for in your website and others. SEO, which stands for search engine optimization, is the process of designing a website to rank higher in search engines like Google, Amazon or the App store. It’s an innovative way to “optimize” content, whether you’re a media company or an online retailer, to drive traffic organically instead of paying steep advertising fees. There are two main kinds of search engine optimization: white hat and black hat SEO. White hat websites use legitimate techniques to rank for keywords that are relevant to its content. Black hat content is geared towards search engines, not humans. This means misleading both the reader and the algorithms. You can’t afford the stigma of black hat SEO. There are two big reasons why you should avoid deceptively optimizing your website. First, it creates a terrible user experience. Ever clicked on a website and found that the content mismatches the headline you read in Google? This does not foster long-term business growth, never mind the fact that it’s unethical. Second, search engines will demote your website, which will tank your traffic. A decade ago, most search engine optimization was of this unethical kind because it’s easier than staying up to date on the top SEO marketing trends of 2019. Google and other search engines now have sophisticated algorithms for uncovering black hat SEO, so the danger of deceptively optimizing your website far outweigh the benefits. Here are the most common black hat SEO techniques you should look for. Link popularity is one of the ways that Google ranks websites. The more websites link to yours, and the better the domain authority of those websites, the more authoritative Google will consider you to be. According to Google’s own definition, a paid link is a link you bought with money or goods. Today, Google devotes significant resources to shutting down link farms and paid links but you don’t need SEO tools to determine if a website is buying links. First, look at the “anchor text,” which is the wording that is hyperlinked. If the text seems random with no connection to the link (or apparent use for it), it could be bought. Next, consider the number of links on a page. If a page is full of randomly linked text, they’re most likely paid links. For a more granular search, there are SEO tools for spotting paid links. The best SEO tools to help you rank higher in Google will create a full link profile for your website or others. Among other things, this can tell you how many back links a website has and where those back links are coming from. Typically, people buy links in bulk. If you see that a website has a laundry list of back links coming from blogs or other sites with very little authority, chances are that at least some of them are bought. “Keyword stuffing” is when a keyword appears on a website an inordinate number of times in order to have it rank higher in Google search. It’s one of the most common black hat SEO techniques. Ever read a keyword or phrase out of context or unnaturally phrased? This could be keyword stuffing. Keyword stuffing can be tough to identify because Google regularly changes its definition of what percentage of text should incorporate your keyword. The best way to identify keyword stuffing is to look for it in key places like the title, meta description and introduction. Does a keyword appear somewhere where it’s seemingly irrelevant? Is it used an unnatural number of times? The best way to avoid keyword stuffing is to be intuitive about it: If you think you’re using your keyword too many times, you’re probably right. Deciding the optimum keyword strategy is also something to discuss with your SEO analyst before choosing your next SEO firm. Hidden links are less common than they once were but you’ll still run into this type of black hat SEO from time to time. Hidden links are exactly what they sound like: They’re links that the user typically does not see. However, search engine spiders still take them into account when determining a website’s ranking. Aside from going through the backend of a website page by page, you can also use an SEO tool to analyze its entire link profile. This will give you a complete list of a website’s links, including the ones that are hidden to the naked eye. These two processes refer to similar types of black hat SEO. In simple terms, URL redirects and cloaking are when websites show search engine crawlers and users two different types of content. Ever clicked on a website and been directed to an entirely different website? This is what Google calls a “sneaky redirect.” The objective of a sneaky redirect is to bring traffic to a specific page while having a search engine rank a website based on the content from an entirely different page. This is especially common on mobile version for a website. While a desktop version might remain the same, the mobile site could display an entirely different spam URL. Cloaking is a similar process in which search engine crawlers typically see HTML while the user sees Flash or images. Typically, cloaking is what hackers do to make it difficult to detect that a website has been hacked. As a user, it can be tough to identify these kinds of black hat SEO techniques until it’s too late. Luckily, Google becomes more sophisticated at detecting spammy content with every upgrade. 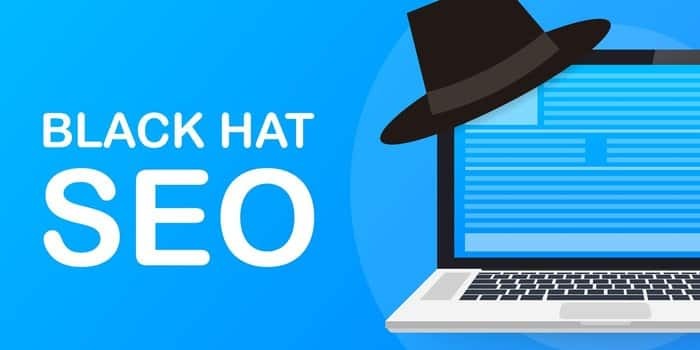 Uncovering this type of black hat SEO is relatively simple for search engines because it’s easy to identify these types of patterns. It may seem like a simple way to build a back link profile, but PBNs are also an easy way to have your website penalized for bad practice. Today, Google algorithms are some of the most sophisticated in the world. This is a good thing for entrepreneurs and qualified optimization companies working to rank for relevant keywords. With the help of a qualified optimization firm, you can build a booming online business, but for people using unethical optimization techniques, the chances of receiving a Google penalty for black hat SEO increase with every update. Overall, the best ways to increase your search engine rankings are to create informative content and follow Google’s rules. Voice assistants like Alexa may be incredibly popular, but they’re also new technology, and they’re raising a few big questions. One of those questions is just how voice commands and related conversations are processed and stored. Alexa devices, for example, store recordings of your history of commands or Alexa-related discussion that it picks up on. This data is held in Amazon cloud services and doesn’t just go away on its own. That makes some people pretty uncomfortable, especially those who are sensitive about their privacy or worried how these recordings may be used. The good news is that you can delete your history of Alexa recordings whenever you want to. Here’s how to do it. 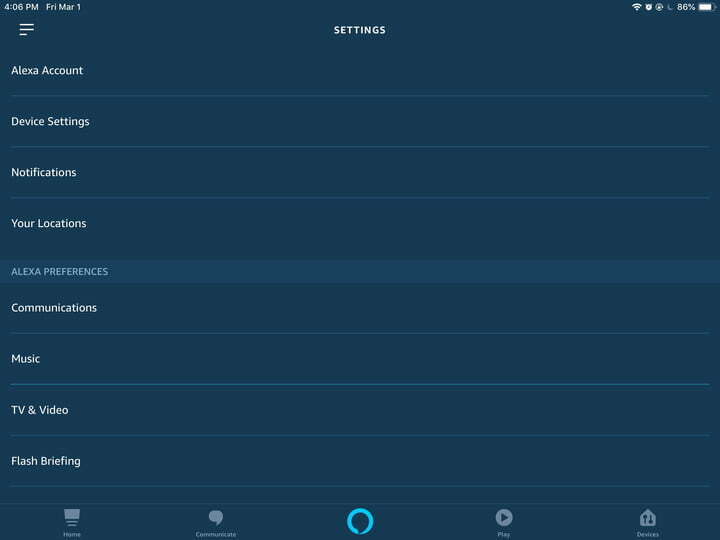 Navigate to the Alexa app you use to control your Alexa device. It’s probably on a mobile device you have, and the icon is a light blue with a white circle. Open up the app, and sign in using your Amazon account password if necessary. 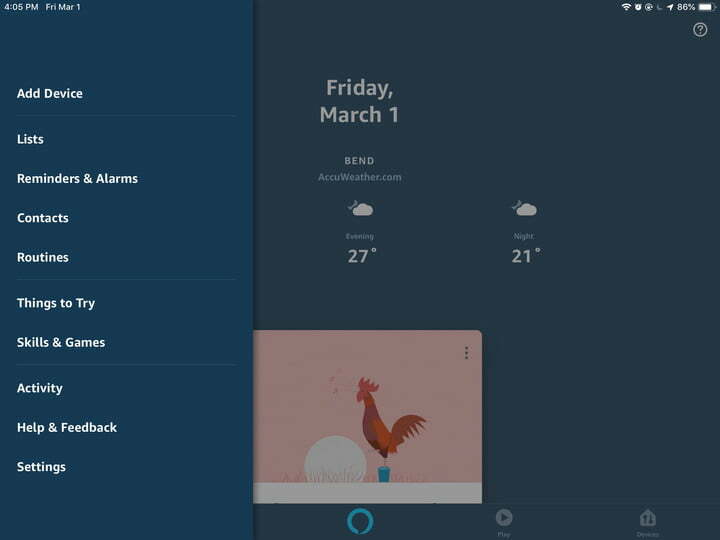 If you’ve never used your Alexa app before, or if it’s been a very long time since you’ve used it, Alexa may run you through a quick setup procedure first. This only takes about a minute or so to get through. When you arrive at the home screen, look in the upper left-hand corner and select the icon that looks like dashed lines, or the main menu. Look down to the bottom of the menu and select the option that says Settings. From here, look at the top of the new menu and select Alexa Account. This will take you to yet another menu. At the bottom you should see an option that says Alexa Privacy. Select this to begin. 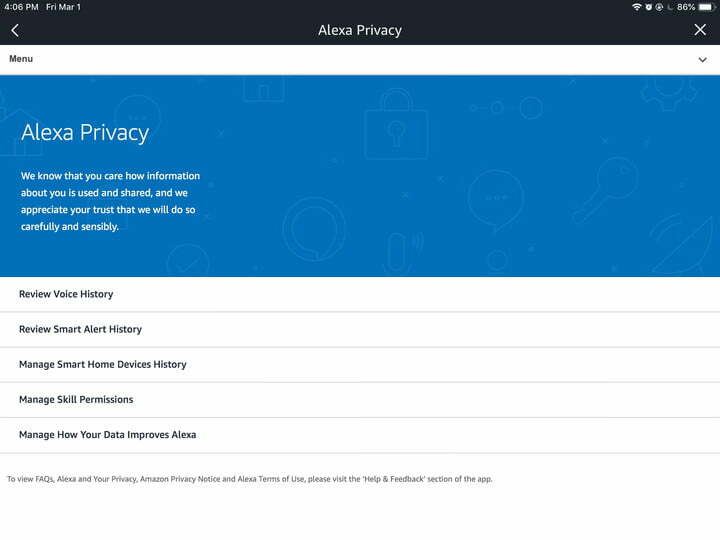 The Alexa Privacy section will give you several different options for reviewing the sensitive information that Alexa has collected. You may want to spend some time here. But for this particular task, you will want to go to Review Voice History. This will open a new screen with all your recorded Alexa conversations. At the top of the screen, you will see an option to change the Date Range. You can choose options for seeing today’s commands, yesterday’s, and so on, all the way to viewing your entire history. If you really want to weed through all your recordings, you need to choose All History. This will display all your conversations with Alexa when they occurred, and on what device. As you view your recordings, you will notice that some have the text of your conversations, like, “Alexa, is it gonna snow today?” but that other recordings say, “Text not available – audio was not intended for Alexa.” These recordings happen when Alexa is still listening for a second after answering your question (it’s caught me mocking it before), or if nearby conversations sounds like someone said “Alexa” but the voice assistant determines that no one was really talking to it. You can click on these recordings to play them and see what they are if you are curious. To the left of each recording, you will see a checkbox. Select the checkbox of every recording that you want to delete. Then go up top and choose Delete Selected Recordings to remove them all. If you don’t want to take the time to review all your recordings, or don’t really care what they say, you can also delete them all without looking. Simply look at the top of the Review Voice History menu and select Delete All Recordings for All History. 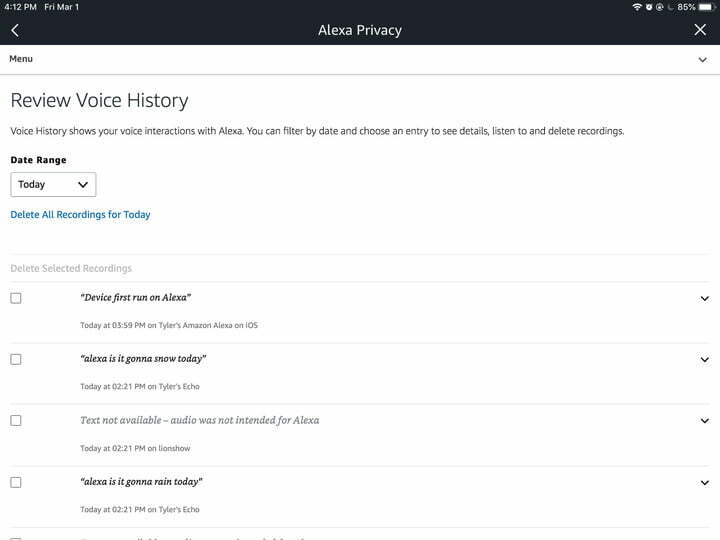 You can also delete your entire history from your computer without going to the Alexa app. Simply go to Amazon’s Manage Your Content and Devices site, and make sure that you are in the Devices tab. Here you will see all the devices connect to this Amazon account. Select an Alexa device, and then look below the name of the device to see an option that says Delete Voice Recordings. Select this, and Amazon will pop up a quick warning screen. Select Delete, and you should get a message that says Your deletion request was received. All done! Deleting Alexa recordings is an important part of your privacy, and Alexa recordings have made their way into prosecution cases before, although there’s not a lot of precedence for this sort of thing so far. We understand if you don’t want your recordings existing out there in the cloud. However, there is an important caveat to deleting your messages: Alexa uses your recordings to help improve the accuracy of its listening functions. In other words, the more you talk to Alexa, the smarter it becomes at recognizing your voice and understanding what you’re saying. When you delete all your recordings, you’re getting rid of Alexa’s “memory” of your voice, so Alexa may have more trouble recognizing your commands. It’s a small price to pay, but worth noting. You can always build the recognition back up again with new voice commands. Earlier this week Google released an update for the Chrome web browser that it urged users to ensure was implemented immediately. That was because the Threat Analysis Group at Google had uncovered a critical zero-day vulnerability that was already being exploited in the wild. 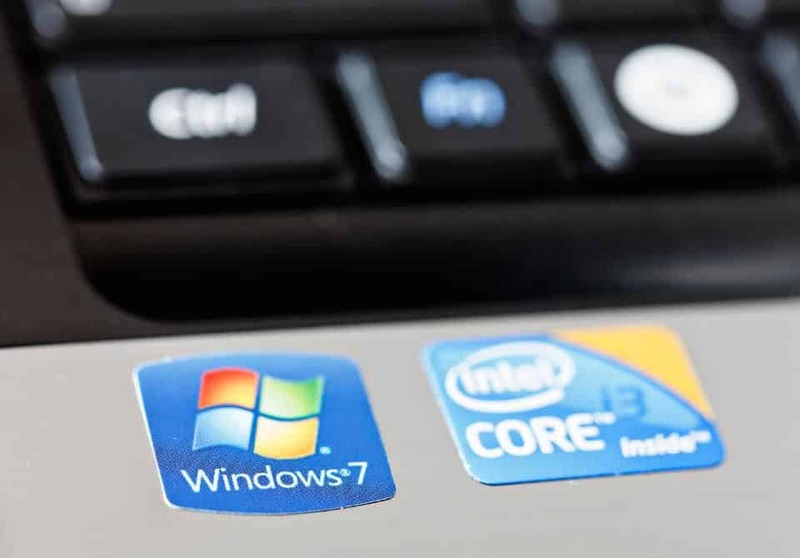 Now a Google security engineer, Clement Lecigne, has warned that another zero-day vulnerability that is also being exploited, impacting Windows 7 users, was being used together with the Chrome exploit to take over Windows systems. 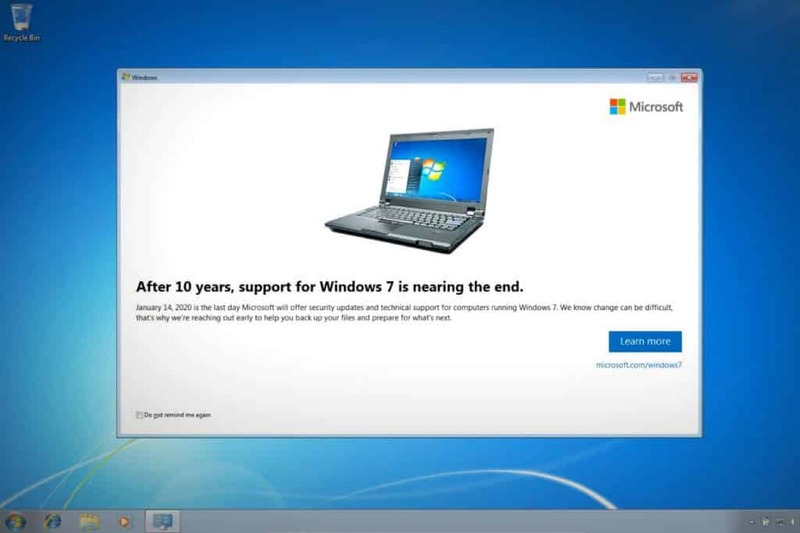 Google is now urging all Windows 7 users to upgrade to Windows 10, as well as make sure their Chrome browser is up to date, to escape the attention of the combined threat. 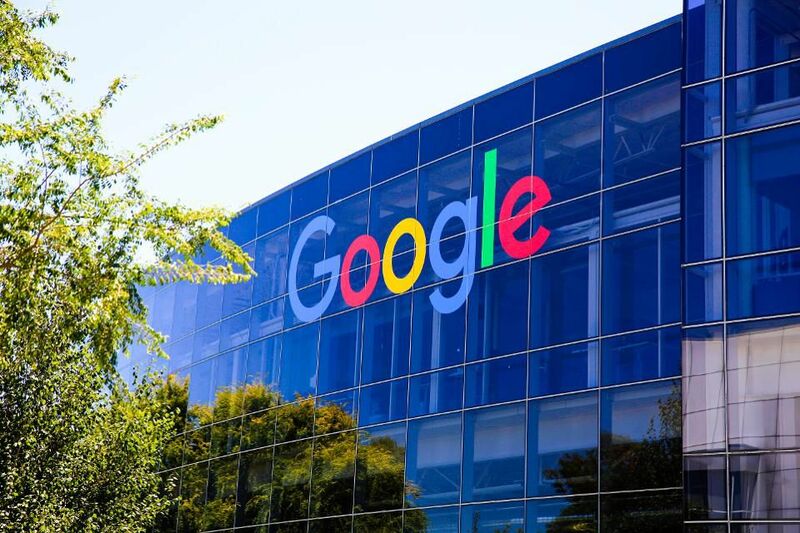 I report and analyse breaking cybersecurity and privacy storiesGoogle Chrome’s security lead and engineering director, Justin Schuh, has warned that users of the most popular web browser should update “like right this minute.” Why the urgency? Simply put, there is a zero-day vulnerability for Chrome that the Google Threat Analysis Group has determined is being actively exploited in the wild. What does that all mean? Well, a vulnerability is just a bug or flaw in the code and while they all need to be fixed, not all of them either can be or are being exploited. A zero-day vulnerability is one that threat actors have managed to create an exploit for, a way of doing bad things to your device or data before the good guys even knew the vulnerability existed. In other words, they have zero days in which to issue a fix. The bad news for users of Google Chrome is that this particular zero-day vulnerability, CVE-2019-5786, is already being exploited by the bad guys. Which is why it’s so important to make sure your browser has been updated to the latest patched version that fixes the vulnerability. Although information regarding CVE-2019-5786 remains scarce currently, Satnam Narang, a senior research engineer at Tenable, says it is a “Use-After-Free (UAF) vulnerability in FileReader, an application programming interface (API) included in browsers to allow web applications to read the contents of files stored on a user’s computer.” Some further digging by Catalin Cimpanu over at ZDNet suggests that there are malicious PDF files in the wild that are being used to exploit this vulnerability. “The PDF documents would contact a remote domain with information on the users’ device –such as IP address, OS version, Chrome version, and the path of the PDF file on the user’s computer,” Cimpanu says. These could just be used for tracking purposes, but there is also the potential for more malicious behavior. The ‘use-after-free’ vulnerability is a memory corruption flaw that carries the risk of escalated privileges on a machine where a threat actor has modified data in memory through exploiting it. That’s why Google has issued the urgent update warning, as the potential is there for exploits to be crafted that could enable an attacker to remotely run arbitrary code (a remote code execution attack) whilst escaping the browser’s built-in sandbox protection. Luckily this is an easy problem to fix, just make sure you do it as soon as you’ve finished reading this! First, head over to the drop-down menu in Chrome (you’ll find it at the far right of the toolbar – click on the three stacked dots) and select Help|About Google Chrome. You could also type chrome://settings/help in the address bar if you prefer, which takes you to the same dialog box. This will tell you if you have the current version running or if there is an update available. To be safe from this zero-day exploit, make sure that it says you are running version 72.0.3626.121 (Official Build). If not, then Chrome should go and fetch the latest version and update your browser for you automatically. The browser saves your opened tabs and windows and reopens them automatically when it restarts. If you’d prefer not to restart right away, click Not now. The next time you restart your browser, the update will be applied. Your website is a sitting duck. TAMPA (WLFA) – The disabled plaintiffs call themselves activists working to improve society for the disabled, one lawsuit at a time. Critics call it “legal extortion,” now targeting small business owners who feel they are “sitting ducks” for ADA lawsuits regarding their websites that are not accessible to some with disabilities. Last year, there were 2,285 ADA website lawsuits filed in federal courts across the nation, an increase of a 181 percent from 2017, according to website accessibility company UsableNet. The majority of lawsuits originate in Florida and New York. “The attorneys are telling us, ‘You can’t fight this. There’s nothing you can do, just write them a check,'” said Ben Tundis, owner of Island Comfort Footwear in the Westfield Countryside Mall in Clearwater. Tundis is one of 175 business owners sued by Emily Fuller, of Broward County, a visually-impaired woman holding businesses accountable if they have websites that are not ADA compliant. Fuller, in her lawsuit filed Jan. 4, claims that she was not able to use the recently launched website of Tundis’ shoe store. Fuller uses a screen reader to use the Internet and claims the shoe store’s website lacked coding that would communicate with her software. This excluded her from shopping on the website, which is a violation of the Americans with Disabilities Act, according to the lawsuit. Lawsuits like this one are being filed by the stackful, typically by one plaintiff working with a handful of lawyers who are gaining notoriety for these types of cases. South Florida attorneys Pelayo Duran and Roderick Hannah represent Fuller. Duran tells 8 On Your Side’s Better Call Behnken that clients like Fuller are providing a needed service for society to ensure that websites are ADA compliant and accessible to all. Fuller has gone after big names, such as Sephora, Helzberg Diamonds, The Home Depot and Chick-fil-A, claiming their websites are not ADA compliant. Some of her recent cases are against the Clearwater shoe store, an activewear boutique in Orlando called Sassy Pants and Tampa Sportservice Inc, the company that runs a store that sells Tampa Bay Lightning apparel inside Amalie Arena. In most cases, private businesses can’t be sued for damages, under the ADA, says Anastasia Protopapadakis, an ADA defense attorney with the Miami firm Gray-Robinson. Businesses are sued for attorney fees and compliance. Businesses who agree to settlements or lose their cases must pay attorney fees and agree to become ADA compliant within a set amount of time, she said.Some legal experts, and even some advocates for the disabled say plaintiff lawyers are taking advantage of businesses that don’t realize they are doing anything wrong. Instead of reaching out to the businesses and asking for compliance, they sue. Protopapadakis calls these lawsuits, “corporate extortion” and urges business owners to take a serious look at their websites and make sure that a person with visual or hearing disabilities can use their site. She said most businesses faced with this type of lawsuit settle the case for attorney fees and compliance. That’s because that is cheaper than litigation. Experts say these lawsuits are typically settled for between a couple of thousand dollars and $20,000 but could cost much more if defendants chose to fight in court. Spearhead Multimedia can help you avoid this for usually under $1000. “Any case appealed to the 11th Circuit has not gone the defendants’ way,” Protopapadakis said. Protopapadakis said while plaintiffs don’t receive money for damages, some do receive money in exchange for keeping settlement details confidential. Further frustrating businesses, there are no federal regulations to give businesses a checklist of what they must do to make their websites ADA accessible. The ADA was established in 1990, before websites like we have today. One thing is clear, though, courts have ruled that most websites must be accessible under the ADA. 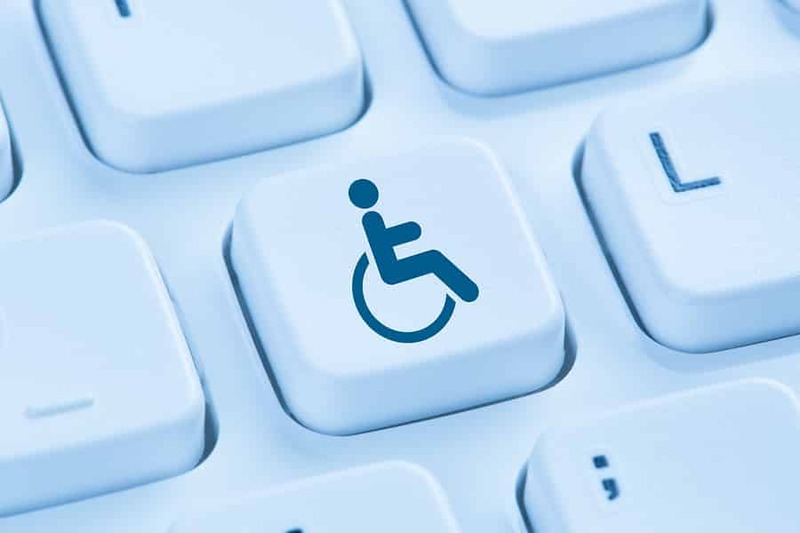 While there are no clear regulations pertaining to websites in the ADA, courts have recognized web accessibility standards called Web Content Accessibility Guidelines 2.0 (WCAG), created by an international consortium of volunteers. Content must be coded for audio translation by screen-reader software. There must be on-screen captions in videos for screen-reader software to read to the blind and descriptions for the deaf. Sites must include accessible drop-down menus for those who use a keyboard as an alternative to a mouse. These are requirements that every website should have under the ADA, said Chris Danielsen, of the National Federation of the Blind. Danielsen, who is blind, said he uses screen-reader software every day to access the Internet and runs into problems on a regular basis because websites lack the appropriate coding. However, he said mass lawsuits, especially those filed by one plaintiff with an attorney, concern him. He said negotiation and education should come first. He also feels that settlements should not be confidential, so the public knows the terms and knows the plan for accessibility for each site. “Rather than spraying businesses with a firehose of litigation, a much more thoughtful and transparent approach would be a better form of advocacy,” Danielsen said. Danielsen recommends business owners make sure their website developers know how to make your website compatible. There are several companies that specialize in website compatibility. The National Federation of the Blind has resources on its website to help businesses. Locally, the Lighthouse for the Blind can review websites and offer guidance. So, who must be accessible? That depends on where the business is located. In the 11th Judicial Circuit, which includes Florida, websites that are connected to a physical store must be accessible to those who are visually and hearing impaired. Accessibility can get costly, depending on what type of website you have, and whether you do it when you first develop the website or later, said Teresa Huber, president of Get ADA Accessible, which focuses on website accessibility. We can make your site accessible to those with disabilities for less than you think. Visit our Website Accessibility website for more details. She said a simple, 10-page website would cost about $1,600 for a firm like hers to audit and identify accessibility issues. The cost of fixing the website would depend on deficiencies, she said. Spearhead Multimedia uses a different approach for less than $100, usually around $500. Get your estimate today. One small business recently sued by Emily Fuller is Sassy Pants Active Wear Boutique in Orlando. Owner Donna Anthony says she hasn’t been served the lawsuit yet, but she is concerned. “I never in my wildest dreams thought a website would have to have accommodations,” Anthony said. “My builder knew about ADA compliance for my physical location. My web developer did not.” At Spearhead Multimedia, we’re on the forefront of WCAG 2.1 AA and will help you make your website accessible to those with disabilities. Contact us today, it’s less expensive than you think. With more than 64% of the global market as of last month, Google’s Chrome browser is by far the most popular desktop web browser by a massive margin. The next closest is Microsoft’s Internet Explorer, and its global market share totalled less than 11% in December 2018. Chrome is the browser of choice for so many reasons, not the least of which are things like simplicity and speed. When it comes to speed though, things aren’t always straightforward. Chrome is typically lightning fast when loading webpages, but your browser speed can really take a hit when there are tons of tabs open. I know I pretty much always have tons of tabs open. We take your privacy seriously. Your tab URLs are never transmitted or disclosed to either the OneTab developers or any other party, and icons for tab URL domains are generated by Google. The only exception to this is if you intentionally click on our ‘share as a web page’ feature that allows you to upload your list of tabs into a web page in order to share them with others. Tabs are never shared unless you specifically use the ‘share as a web page’ button. OneTab is free of charge and is not designed to make money. It was created because we badly *needed* it for our own use, and we wanted to share it with the world. You can drag and drop tabs in your OneTab list to reorder them. You can also hold down the Ctrl or Cmd key while restoring tabs and they will remain in your OneTab list (meaning you can use OneTab as a way of quickly launching a set of commonly used tabs). OneTab supports retina displays. Note that OneTab is designed to leave in place any ‘pinned’ tabs you have. 2018 Update: We’ve been working like crazy to make OneTab much much better – including implementing lots of your feature suggestions. We’re full time on it now and have great momentum. Thank you for all of your thoughtful feedback, please keep it coming. How will you engage with your customers in 2019? 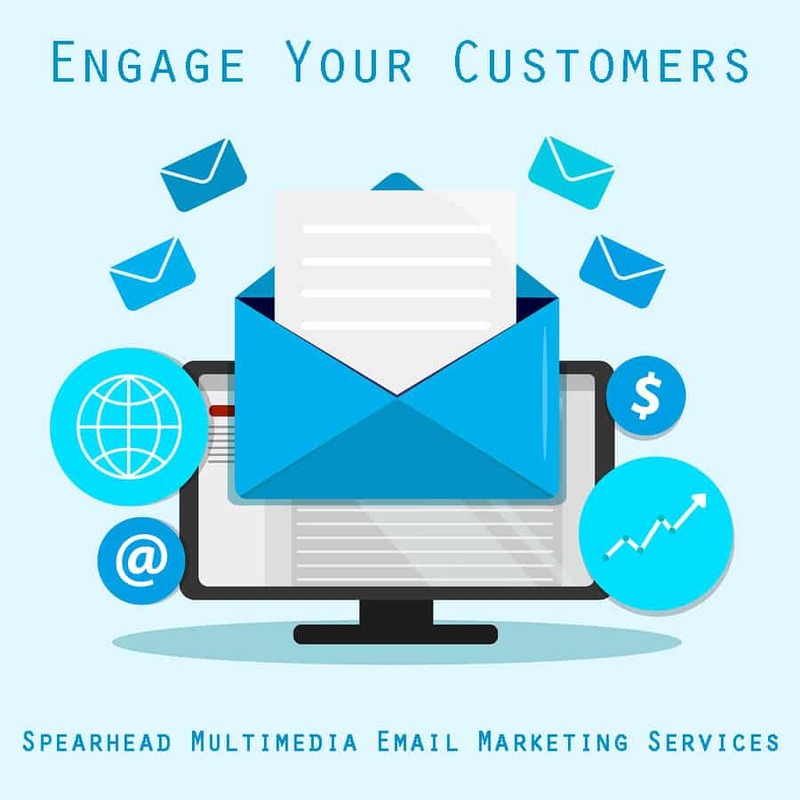 At Spearhead Multimedia, we’ve been doing email marketing for over 20 years and it continues to hold the top spot for marketing to your best salespeople, your very own customers. This is because email marketing is easy to manage, gives you full control, and allows you to establish direct contact with your customers. Not convinced on email marketing? See these 6 reasons why building an email list is so important in 2019. We at Spearhead Multimedia recommend Constant Contact. We’ve been creating successful email campaigns for clients and ourselves since 1999. We have watched them respond to changing trends and customer’s needs. They are a top tier email marketing company and have one of the highest email success rates in the industry. Constant Contact is one of the largest and fastest growing email marketing services in the world. It is also the easiest to use and beginner friendly email marketing service. You can easily manage your email lists, contacts, email templates, marketing calendar, and more. At Spearhead Multimedia, most of our clients have us help collect and sort their contacts, create branded emails and provide the reporting, all done through Constant Contact. Your account provides access to easy tracking and reporting, built-in social media sharing tools, free image library, list segmentation, Facebook ads integration, and a powerful eCommerce integration for Shopify stores. We will set up automated opt-in forms on your website to help build your customer list. For all the reasons above, we rate and exclusively use Constant Contact the best email marketing service for small businesses. 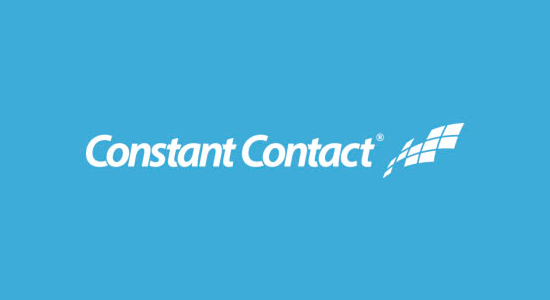 Constant Contact has a 60-day free trial (no credit card required). After that their pricing starts as low as $20/month. From an article by Syed Balkhi. Are you considering building an email list, but have some doubts about why it is needed? 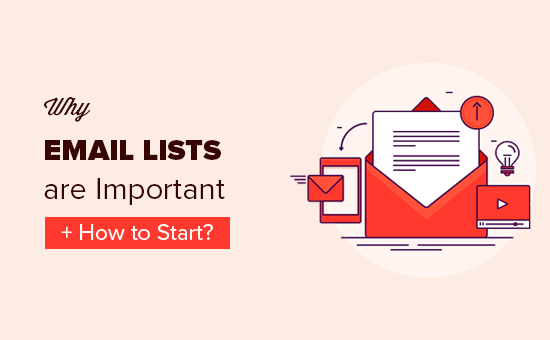 Many business owners and bloggers don’t realize the importance of building an email list when they’re first starting out. Most people usually change their mind when they see the impact email lists can have on someone else’s traffic and revenue. In this article, we will share the top reasons why building an email list is important (with real case studies). We will also show you how to start building your email list – step by step. By the end of this article, you should have answers to all your questions about building an email list. An email list is a special list of names and email addresses of people who gave you permission to send them updates and promotions from your business. You can build your email list inside a marketing software and send bulk email notifications to everyone regarding your blog updates, online store, or other business services. Why Building an Email List is Important? According to the Direct Marketing Association, email marketing on average sees a 4300 percent return on investment (ROI) for businesses in the USA. Because email subscribers joined your email list from your website and verified their identity by clicking on a link (double-optin), they are extremely interested in what you have to offer. This is why they are more likely to convert into paying customers. In our business, email list gets 10 times higher conversions than social media campaigns. We are partnered with GoZone Wifi to automatically optin your WiFi users and build your list. Email allows you to land into a user’s inbox. There is no ranking system limiting your reach. It is very direct and personal. To get updates from you, a user fills out a form to signup for your email list and confirm their email address. Someone doing this much work is obviously interested in hearing from you, and they are much more receptive to your message. As we mentioned earlier, the user has already shown interest in your product or content. Since you already know what they like, you can deliver them highly relevant offers to get better results. This is called segmentation, and we will cover that later in the article. You do not own Facebook, Twitter, or Google. Your social media campaigns and SEO efforts can go to waste when these platforms change their policies. On the other hand, you own your email list, and it is not influenced by decisions of other businesses. People read email in the privacy of their inbox. The message is not on a public timeline or newsfeed. They can ask you questions directly in private with confidence. This helps build trust and connection. You may have heard that Facebook has 1.4 billion and Twitter has 100 million daily active users. What you have may not have heard, is the number of people using Email every day. Every internet user has at least one email account. 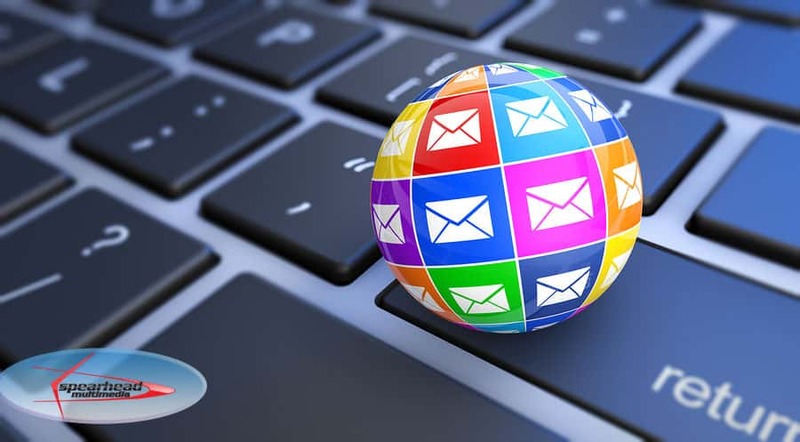 Recent research conducted by Radicati found out that there 3.8 billion active email accounts. That’s half the population of Earth. This is precisely why every smart business in the world has an email list. Big name brands learned this lesson a long time ago, and that’s why they spend thousands of dollars on social media campaigns to get people to sign up for their email lists. They understand that email marketing is the best long-term investment with a much higher return because people will continue to get their message at a very low cost for a longer period of time. Now you’re probably thinking, wait a minute. What about social media? In fact, we have been asked several times isn’t email marketing kind of dead with social media taking over everything? Yup, it’s an email address. These companies know that emails are the most direct and reliable way of getting in touch with their customers. Even if you sign up using your phone number, they will keep asking for your email address to help you find friends, for password recovery options, and most importantly to send you targeted email messages. Here is a view of the social tab in a typical Gmail user’s inbox. All these emails are from big social media platforms, so they can engage you with the content on their platform and get you to visit their app or website again. All social media platforms are building an email list because they are smart business owners. This helps their valuation when selling their business. While social media is a great way to reach your audience, it’s important to keep in perspective the timely nature of social media platforms. Not too long ago we had MySpace, FriendFeed, Google Buzz, Plurk and countless others. Most of them are either dead now or irrelevant. Today we have Facebook and Twitter that are prominent, but not everyone enjoys these platform. Some people prefer Instagram, Pinterest, WhatsApp, Snapchat, LinkedIn, etc. Basically, your users are all over the place on different platforms. But studies show that at least 91% of consumers check their email on a daily basis. We are not saying that social media is not important. It is, and you should explore every opportunity to reach your audience. However, you should spend more time and effort into something that guarantees higher results. What Experts are Saying About Building an Email List? Out of all the channels I tested as a marketer, email continually outperforms most of them. Getting an email address is the first critical step to figuring out who my reader is, and hopefully in the future, my customer of some sort. If you’re not building an email list, you’re making a HUGE mistake. Email is the most predictable driver of growth and sales in our business. I prefer email marketing over all other traffic channels. Many expert marketers say their biggest mistake was not building an email list when they first started out. With all the reasons above, we hope that you’re convinced that building an email list is important for all businesses. Now you might be wondering, how do I build an email list? This brings us to the next section. By now, you know why building an email list is so important, and why ignoring it can be a HUGE mistake. So let’s take a look at what you need to start building your email list. We can provide all three of these for you. For the sake of this article, we will only be focusing on the last two items on the list. We’re going to assume you have a website. If you don’t, let’s talk. There are tons of email marketing services out there. We recommend Constant Contact, hands down. Often times, beginners use a free company to save money, which is understandable. However, some of these free platforms are not the best. Why? Some platforms mislabel themselves as “email marketing service” when in reality all they offer is free blog subscription via email. This allows your users to receive an email update every time you publish a new blog post. You can’t send out private email newsletters. To send an email, you will have to publish a new blog post, which means that the information you want to share will have to be publicly available first. You can’t personalize the email message. It will be delivered in the same format often with no branding or personalization. You can’t categorize subscribers by interests, demographics, or content type. There is no reporting. You don’t know how many people got the email, what percentage of users opened it, and how many of them clicked on your links. If you later tried to move to a paid service, your users will have to re-confirm their subscription. Many of them will not do it, and you will end up losing subscribers. This is why we ALWAYS recommend using a professional email marketing service, like Constant Contact, right from the beginning. Yes, they cost a little bit of money, but they are an investment in your business which pays huge returns. You can send private mass emails to your subscribers. You can see subscriber activity and group your subscribers based on actions they take. You can run A/B split tests to see which email subject line, content, and offers work best with your subscribers. With reporting tools, you can see which country you have the most subscribers from. You can adjust your time zone preferences, and send emails at the right time. Last, but definitely the most important, you can see the email addresses of all your subscribers. There are hundreds of professional email marketing services available. For small businesses, we recommend using Constant Contact because they are one of the largest email marketing services in the world. They offer a 30-day free trial. This gives you plenty of time to set up and start seeing the results. At the end of 30 days, your email list would likely be paying for itself (cost $20 / month). Once you have signed up with Constant Contact, the next step is to add opt-in forms to your website to allow your users to subscribe. Did you know that more than 70% of visitors abandoning your website will never return? It’s true, just look in your Google Analytics and look at the percentage of new vs returning visitors. That’s why you need to convert every website visitor into an email subscriber before they leave, so you can send them relevant messages to bring them back. An average internet user spends just a few seconds looking at a website. This gives you very little time to engage them. 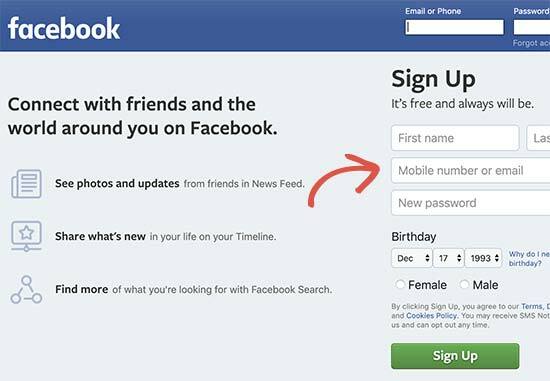 If your email sign up forms are not noticeable, then users will leave without ever subscribing to your website. The biggest mistake that we see beginners make is not strategically placing high-converting opt-in forms. 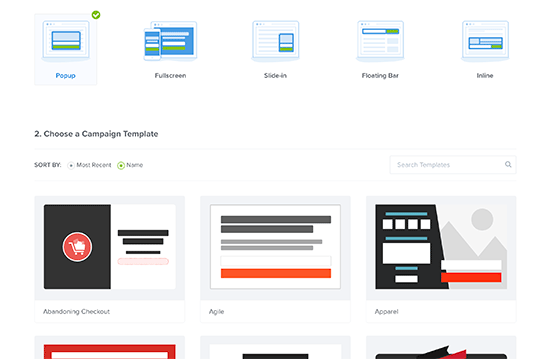 Constant Contact provides you with codes to embed in your theme, we handle that for you. This is why we recommend our users to use OptinMonster. It is the most powerful conversion optimization software that helps you convert abandoning website visitors into subscribers and customers. Instead of adding boring sign up forms to your sidebar, you can easily create high-converting opt-in forms like lightbox popups, floating header and footer bars, slide-in scroll boxes, fullscreen welcome mat, inline forms, and more. But what makes OptinMonster really powerful is the behavior automation and personalization features. OptinMonster allows you to automatically show different opt-in forms based on where the user is coming from, which page they are visiting, and what they are doing on your website. For example, the Exit-Intent® feature track your users’ mouse behavior and show them a targeted opt-in form at the precise moment they are about to leave. This helps you convert abandoning visitors into subscribers. That’s why influencers like Michael Hyatt, Neil Patel, and Social Media Examiner use exit-intent on their websites. It helped Social Media Examiner add over 95,000 new subscribers in 7 months. Nicolas Gagne, a small business owner, combined Constant Contact with a single exit-intent optin to grow his email list by 500%. This helped him triple his revenue from his online store (see the full case study). There are tons more case studies and OptinMonster reviews that you can read as well. Get started with OptinMonster today — Use the coupon WPB10 to get 10% off. Note: OptinMonster was started by WPBeginner’s founder, Syed Balkhi, because he wanted to get more email subscribers, faster. It helped us increase our email signups by 600%. 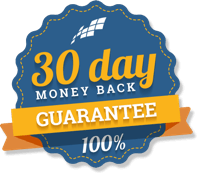 Due to popular request, we released this tool for the public, and currently, it’s the most recommended lead generation software in the market. Having the right tools is crucial, but knowing how to use them properly is what makes the most difference. In your email marketing strategy, the most important thing you should plan out is segmentation. Email list segmentation is the process of grouping your subscribers, so you can better personalize your emails based on interest. It helps you get higher open rates and click-through rates. This definitive guide to email marketing has all the information you need to segment your email list like a pro. If you want to start growing your email list quickly, we have a system that incorporates your wifi network to optin users coming into your brick and mortar business. We can create your optin forms and place them on your website, blog and social network accounts. Content Upgrades are the highest converting opt-in forms. It’s a technique where you offer bonus content at the end of your popular blog posts. These usually convert 5 times higher than a regular opt-in. Here are some content upgrade ideas that you should check out. We will work with you to help choose what’s best and set them up for you. There are a lot of different ways to capture email leads, we can create lead captures using Optin Monster and Constant Contact. It does not matter what kind of business you run, what kind of website you have, or what industry you are in. If you have a website, and you want to turn your visitors into returning customers, then you need to get them in your email list. We hope this article helped you understand why building an email list is important and helped you get started on the right foot.